The Bible is filled with stories of people who took “oops” to a whole new level. And in our own flawed humanity, we can deeply relate to their inadequacies and failures, can we not? Within the first three chapters of the Bible, Adam and Eve made the biggest mistake in the history of the world: they ate the forbidden fruit — the one thing God asks them not to do. This doesn’t just make things awkward when God comes looking for them, it messes things up for all of humankind. As Israel’s first king, one would assume that Saul would be able to pull himself together, especially with the prophet Samuel there to guide him step-by-step. But instead, Saul ignores divine direction over and over again, to the point where God regretted ever making Saul king. You can’t judge a king by his appearance. Jonah hated the city of Nineveh. In his mind, the people who lived there were evil, wicked, and beyond all hope. So when God asked him to go there and give the people of Nineveh a warning to repent, he was not happy about it, to say the least So instead of listening to God’s call, Jonah sailed in the opposite direction of Nineveh, which only got him room and board in a whale belly for three days and three nights. 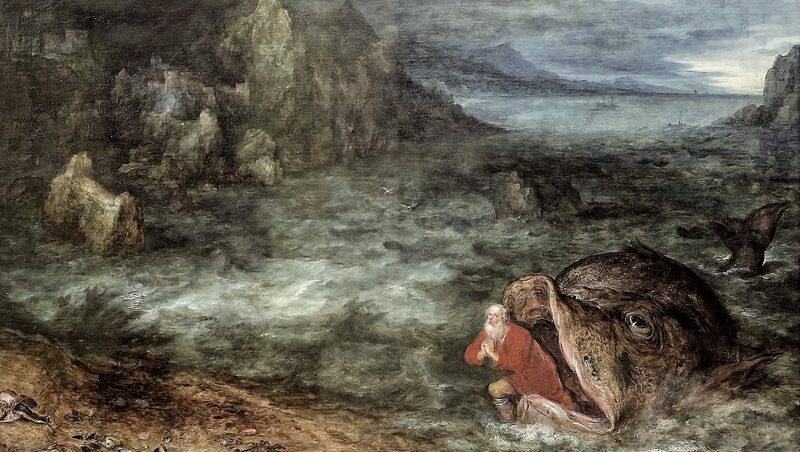 Jonah eventually goes to Nineveh, and reluctantly speaks to the people there. The story ends with Jonah pouting under a tree. It was too bad that Solomon didn’t pay more attention to his father, David. Though Solomon spent a good many years ruling the nation of Israel as God required, he eventually fell prey to beauty and charm. Solomon built idols and temples for his many wives — first on God’s big top-ten “do not do” list. Peter was one of the few who Jesus called out to follow Him as a disciple. For three years, Peter shared life with Jesus: he saw the miracles, heard the teachings, and believed Jesus when He said He was the Son of God. But when Jesus was arrested, Peter famously denied three times that he even knew Jesus. With the chance to be a man of his word and not forsake his Lord, Peter failed miserably. But God was gracious and wasn’t done with Peter. He re-ordained Peter by asking him three times “do you love me?” And we know the rest of the story — Peter becomes known as “the rock” on which his Lord chooses to build his church. The beauty of these ancient stories is that they give us hope: that God chooses to use us, despite our failings, to be His hands and feet and shine His light in this world. Photo (Flickr CC) by Pierre Marcel.